Hastings Manufacturing can design the entire press process for your application with our experienced engineering team. Integration of proper automation and tooling for hot stamping and heat transfer is essential to producing good parts. We manufacture and/or integrate complete tooling sets including machined aluminum part holding fixtures, magnetic mounting systems as well as Contoured Molds and Dies. Send us your drawings and let us show you how we can provide the total solution for your needs. Whether your part is decorated on a round or flat object, Hastings is able to provide accurate positioning of your graphics. Our dies and automated equipment are tested with the press for absolute precision timing and part accuracy. We monitor the temperature, pressure, position, automation and timing to create the perfect transfer for your needs. Hastings provides a seamless integration into your production line, with the leading customer support in the industry, and provide solutions to reduce your scrap rates. Our goal is to make the entire process easy to use with accurate and repeatable parts to fit your cycle requirements. We are experienced in providing simple setup with quick tooling changes for efficient processes. Proper part placement and alignment of the die through automation is the key to to the perfect labeling process. Jackscrews and alignment pins can be added to help position the part, and we provide numerous options to ensure that your part is orientated in the right way with the proper graphic. Part Sensors can be integrated with the controls to detect the part and locate the correct positioning prior to the cycle. 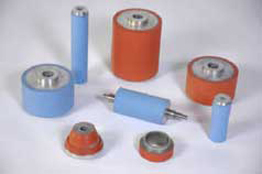 What is the difference between metal dies and rubber dies and when should they be used? 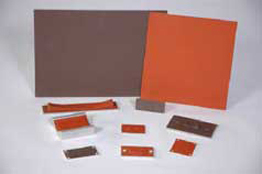 Rubber dies are used to stamp onto rigid base materials. The process is a faster and more flexible process than with metal dies. It compensates for surface irregularities and variable material thicknesses and may bond to a wide range of shapes and contours. 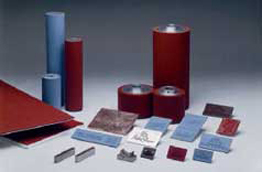 Metal dies are used to stamp more flexible base material. The image is adhered utilizing a slower and rigid process that imbeds the foil/ transfer into the surface of the material. It is limited to vertical parts but utilize higher temperatures for high strength applications. Metal Dies have excellent heat recovery time and can be used with increased pressure requirements. They are ideal for leather, fabrics and paper (plus much more). Hastings has a wide range of supplementary press and die equipment for your process. Contact your sales representative for more information.